1. Do you ladies use eye cream for wrinkles? Yes, we both use this eye cream and really like it – it’s super hydrating, and a little goes a long way. No more dry spots and smoother skin around the eyes are the results we’ve seen! We definitely recommend it – it’s a small container, but it lasts for months! We’re always looking for new options as well – we’ve heard great things about this one by BB, but haven’t tried it yet. Spoiler alert….we both have eye wrinkles ;). We’re doing the best we can to take care of our skin, but wrinkles are inevitable! 2. How did you learn to manage your blog and turn it into a business? It actually happened organically. As most of you probably know, we were blogging separately before coming together to start Somewhere, Lately. When we started it, it wasn’t our plan to turn it into our full time jobs, it was just something we wanted to do for fun because we loved it! After a few weeks (much to our surprise), we were contacted by a few companies to try out their products and share on our blog (we didn’t get paid for it, but we received free product). It really took about two years (of posting 5 times/week) to turn it into a business that allowed us the freedom to turn it into our “jobs.” As far as learning how to, there are a lot of ways you can learn – research, visiting other blogs (Thrifts and Threads posts great blogging tips every week), but most of our learning has been trial and error. We’ve learned from our mistakes, and it’s really a business where you learn more as you become more involved. We are still learning new things all the time! Bottom line…if you want blogging to be your business, it needs to be something you’re truly passionate about…if not, it will show. 3. 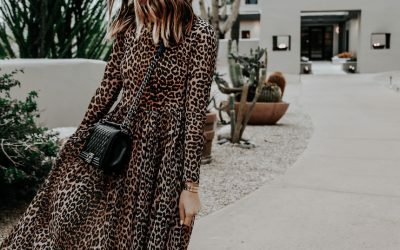 How did you get connected with companies to monetize your blog? In the beginning, we didn’t! We received free items here and there, but nobody was paying us to promote their products. We started reading (and learning) more and more, and realized a lot of bloggers undersell themselves. They don’t realize how valuable their time/posts actually are, and in turn, aren’t making the money they have the potential to. We don’t get paid for every post we do, and we’re very picky about companies we work with (we turn down more offers than we accept), because we want to stay true to ourselves, and our readers. We think the key to working with brands you want to work with is to post consistently, have a clean blog with crisp photos, and be passionate about what you’re doing! You can always reach out to companies as well to introduce yourself and your blog (we wouldn’t recommend asking them if they will pay you to do a post) but just let them know you’re a fan of their products, and you’d love to keep in touch! It takes time, but if you stay consistent, and have great content, it will happen! 4. 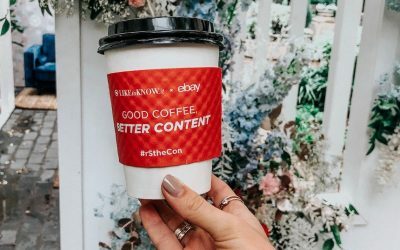 Do you ever go to blogging events? Yes! We don’t go to as many as we would like to since we are both pretty busy with the babies. The ones we have gone to have been great and it’s so fun to meet other bloggers in our perspective cities. 5. Could you share some blogging tips? I’m just starting a blog, working full-time, and have a baby. Brooke: When we started Somewhere, Lately, I was right there with you – working full-time, and I had a 10 month-old baby. Going along the advice we gave above, I just think you have to stay consistent if you want to gain followers…that means posting to your social channels at least once/day, and blogging 4-5 times a week. It’s more difficult to gain a following if you’re not consistent. It can be a LOT to juggle with working full-time, and having a baby, but that’s why it has to be something you love. If you love it, it’s not going to feel like extra work at the end of the day (I used to write all of my blogs late at night after working, making dinner, and putting the babe down, but I was so excited because I loved it). If it feels like it may be too much work, partner up like we did! In terms of coming up with post ideas, you just have to brainstorm! We definitely get stuck for ideas sometimes, but that’s when it’s best to pull out a notepad and start writing down any and every idea you can come up with for a blog post…once you have a good list, you’ll likely have a few great blog post ideas! Meggan: I agree with everything Brooke said! Something that could help with time-management is doing several posts at once and scheduling them to go live during the week. 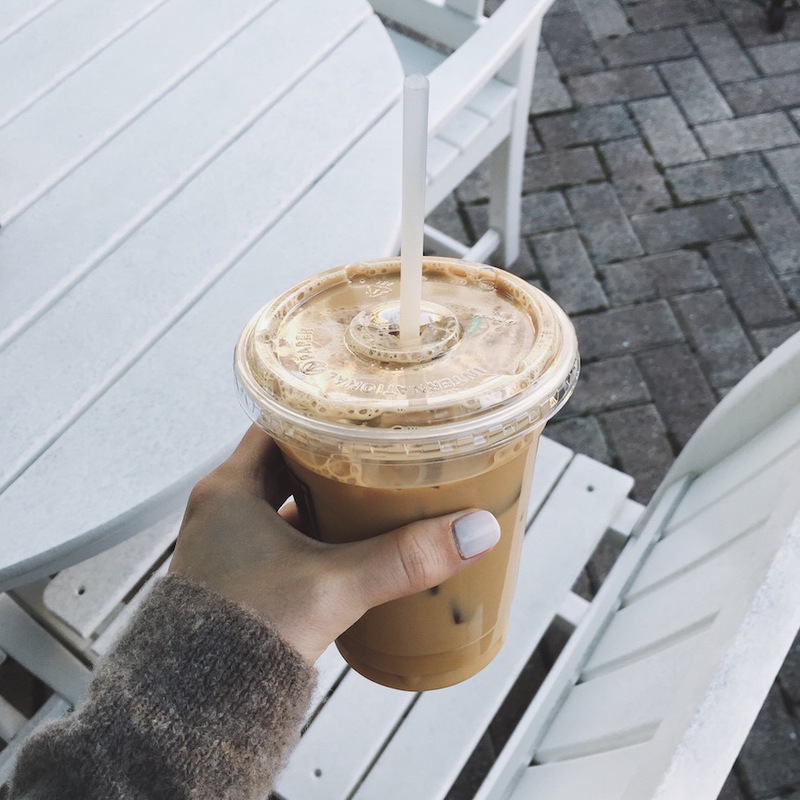 Maybe sneaking away to a coffee shop for an hour or so during the weekend could be your time to work on the blog! 6. I’m getting married in May, and am having a hard time finding a cute (but appropriate) rehearsal dress…suggestions on a look? Meggan: I think a white dress with wedges would be perfect for May or even a jumpsuit! 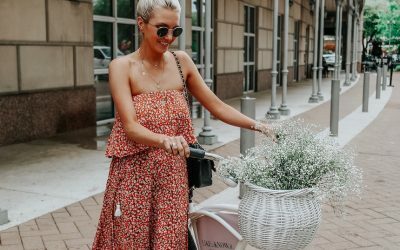 I really like this jumpsuit by BHLDN or this one from J.Crew. Some dress options are this strapless Milly dress, this lace one, or this long sleeve one! These shoes are a cute option as well and on major sale!! 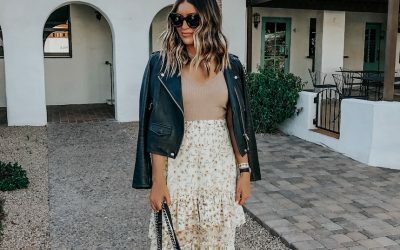 Brooke: I’ve rounded up three options at different price points for you – this one ($240) is great because it’s comfortable and beautiful, the lace details on this one ($188) are seriously stunning, it looks like something you’d see at Paris Fashion Week, and I’m in love with the bell sleeves on this dress ($60)! 7. I have a charity gala next month, could you share some formal dress options? Meggan: Love this Rachel Zoe dress (on sale! ), this long sleeve (I wore this to a black tie! ), or this embellished one! Brooke: Have you considered Rent the Runway? They have some amazing designer dresses for less than you’d probably spend on a non-designer. And I loooove that they show photos of girls who actually wore the dress to events! It’s a great option for a formal dress, since you’ll most likely not be wearing it more than a couple times! 8. What brand of intimates (bras & underwear) do you wear? I’ve been buying cheaper brands, and they just don’t hold up, so I’m looking for other suggestions. Meggan: I just went to Nordstrom a few weeks ago and got all new intimates! I ended up getting all Natori bras and Hanky Panky undies. I haven’t bought myself new bras in SO long it felt so good to get some new ones! Brooke: I wear Hanky Panky undies and these bras (I’ve also purchased the non-padded version, but in some tops you can see through the lace…so I prefer the ones with padding) – they are on the pricey side, but they last for years, and they are the most comfortable I’ve owned! If you’re looking for a push-up bra, this one is seriously the best push-up ever! 9. Meggan, how do you avoid brassiness (at home) that’s so prevalent with blonde hair? How could I ask my stylist for the color you get (other than bringing in a photo)? I usually get a partial highlight but my hair is pretty light naturally so my hair stylist (Lauren @ Solo Salon!) recommended doing balayage since I only color my hair once or twice a year, which I really like! Some tips for avoiding brassiness is using purple shampoo, don’t use hair products with alcohol, and limit sun exposure.